Give your look a seriously chic update with this beige maxi dress. 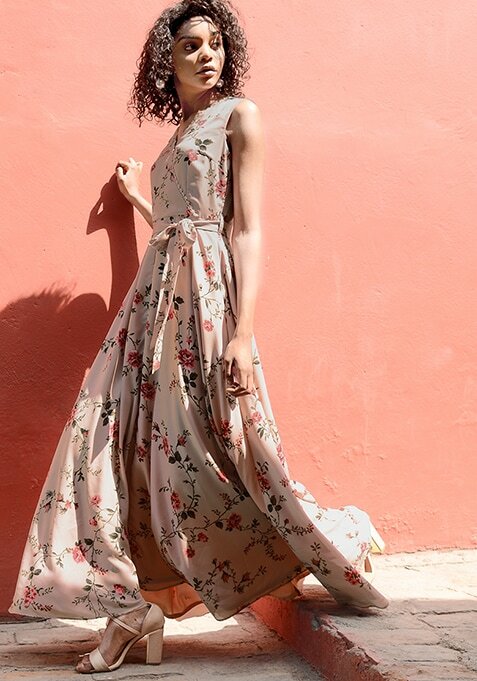 Featuring floral print, this sleeveless maxi has a V-neck. Work It: The best part is that this dress can be dressed up or down as per the occasion.